Large traditional style house with internal split-levels, distinctive garden room and period detailing. 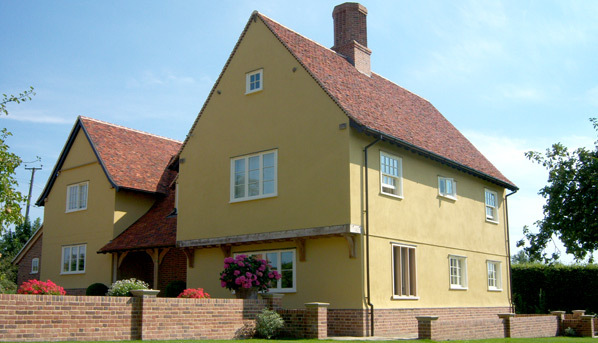 This replaced a thatched house that had been destroyed by fire, therefore, it was important to design and procure the project as quickly as possible. Despite the initially unpleasant circumstances the clients capitalised on the opportunity to create a new and completely different house designed to a personal brief. Careful consideration was given to repositioning the new house to fit in the existing, mature gardens and open up individual views from each room. "JAP were so supportive and helpful, following our cry for help after a disastrous fire that left our thatched house a total loss. 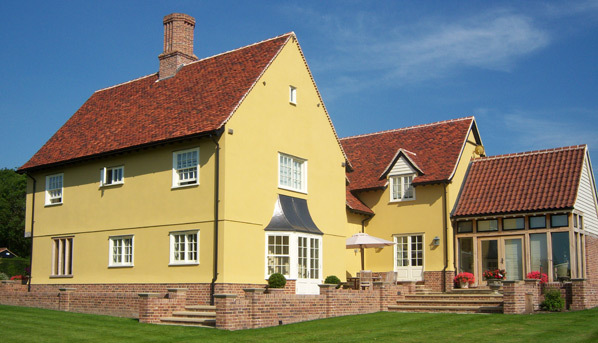 We gave them a brief that we wanted to replace the old house with a “Suffolk Farm House” style. They quickly and efficiently came up with a design for this magnificent house. 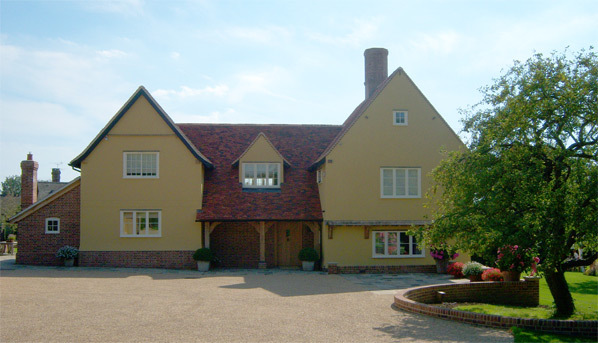 The new house was repositioned on the old site to fit best in the mature garden, and is totally different in every way. 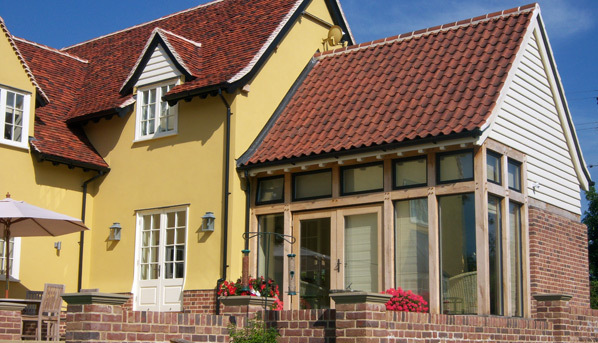 Very careful consideration was given to the shape, size and views from the many different styles of windows. All the rooms are well proportioned, and the large galleried entrance hall is outstanding, with a most attractive oak staircase. Much oak has been used throughout the house, in doors, floors, and beams. The doors are a unique design and receive much praise. It has been a real pleasure working with JAP over the whole project, not only did they design this stunning house so well, but they were excellent at the detail, with such things as advising on door and window furniture, floor finishes, electrics and external terracing."